Kathy Bellows is the Executive Director of the Office of International Programs overseeing the areas of Overseas Studies, Global Strategies and International Student and Scholar Services at Georgetown University. She is on the Executive Committee of AIEA. Ms. Bellows has chaired, presented and led sessions and workshops on international education topics at numerous national conferences, and testified in the US Congress about international education. She received her graduate degrees from the University of Florida. Diana Davies is Vice Provost for International Initiatives at Princeton University. She oversees the Davis International Center, serves as Secretary to the Council for International Teaching and Research, chairs the International Operations Team, promotes and facilitates all aspects of international education and manages the University's linkages with foreign institutions. She holds a PhD in Comparative Literature from the University of Rochester. Mitch Leventhal is Vice Chancellor for Global Affairs at State University of New York, and Senior Advisor for Academic Affairs at UN Global Compact. A proponent of social responsibility/ethics in higher education, Leventhal co-founded American International Recruitment Council (AIRC), focused on ethical practice and industry self-regulation. Leventhal is Executive Director of UCosmic Consortium and has served on the AIEA executive committee. He received his doctorate in International Education from University of Chicago. Yenbo Wu has been Associate VP for international education and associate professor in educational administration at SF State since 2007, having served as director of Office of International Programs from 2000. Previously, he was the SIO at the University of Wisconsin-Milwaukee, and director of international student programs and recruiting at the University of Nebraska-Lincoln. 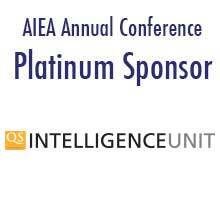 Wu is a former Executive Committee member of AIEA. He earned both his M.Ed. and Ph.D. from the University at Buffalo.